THE local gallery is fortunate to have an army of over 50 volunteers to call upon in times of need. In the art world they are very well respected and have a reputation of professionalism, hard work and creativity. The current exhibition at the SRAG is Whispering Land. When you walk into the gallery you will see a wonderful and eclectic exhibition. It is sometimes hard to imagine the hours of work by the artists to create the art, and the subsequent time that it takes to put together an exhibition. "Whispering Land, with Helen Turrisi and Sandra McEwan, is a celebration of our place. Sandra's photography epitomises the place and time of the Granite Belt. A place bound with so many generations and memories that her sharp lens captures and vanguards our own recollections,” gallery director Mary Findlay said. "Helen's muse, the earth and the creatures that surround her, goes deep, with a real sense of connection to the natural world and to our footprint on this place. Her work is so very different and interesting, a testimony to her own imagination, sense of self and place. The gallery often must solve problems like this. One of their volunteers, Les Fletcher, has many skills which have been called upon over the years. 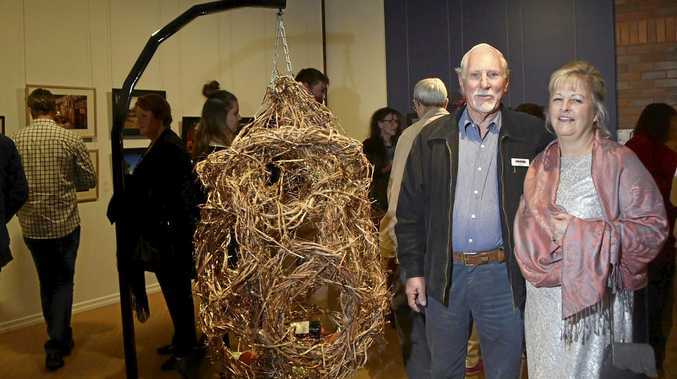 "Les has several hats in the gallery; volunteer representative on the committee, part of the changeover team, volunteering on opening nights, and creating and designing custom built tools and pieces for installations,” Mary said. "Within two weeks and a few confabs with Helen the engineered hanging piece was created and built by Les. "Les is one of the many volunteers that support the gallery and our community. We are so fortunate that folks like Les give up their time freely. 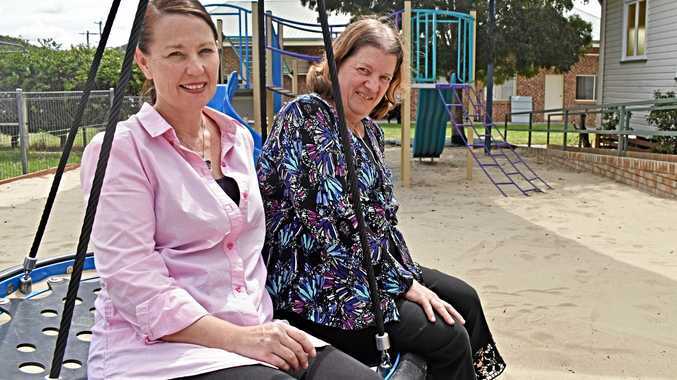 I think this is why so many people come and visit and comment on the great community spirit in Stanthorpe,” she said.